The volatility of the global economic market and the fierce competition in attracting foreign investments have determined European and MENA authorities to reconsider interactions with taxpayers. Thus, benefitting from international assistance, authorities have started implementing tax strategies and models like co-operative compliance, horizontal monitoring, whistleblowing. This empirical investigation is grounded on the “slippery slope” framework that attempts to solve the “riddle of tax compliance” via trust in and power of authorities. The former is proxied by “Trust in national government” (Gallup World Poll), the latter by “Rule of law” (World Bank). The two-step cluster analysis run on 215 countries worldwide, including 35 from Europe, 12 from MENA, yielded four tax climates: trust and power high (T+P+), trust and power low (T-P-), trust high-power low (T+P-), trust low-power high (T-P+). While the majority of European countries are spread between T+P+ and T-P+, MENA countries generally belong to T-P-, demanding stability and efficiency in all major areas of the societies. Some of the first connections between Europe and the region referred nowadays as MENA have been established during the exploratory voyages undertaken by Marco Polo and Ibn Battuta. The former, born in 1254’s Europe (Venice, Italy), had made the Far East known to the Europeans by virtue of the volume he signed and released in 1298 “Book of the Marvels of the World” or “Description of the World.” The journeys depicted in the book had surged Europeans’ desire of reaching the remote worlds. The latter, born in 1304’s MENA (Tangier, Morocco), had made Europe known to inhabitants of Northern Africa, Arabia, Persia. Centuries have elapsed since the explorers’ itinerations, still the connections set through their intrepid efforts have not faded away. In this day and age, strategic economic, financial, political, social and cultural partnerships driven through enacted frameworks such as the Euro-Mediterranean Partnership (EUROMED) and the European Neighbourhood Policy (ENP) or challenging projects like “Desert Power 2050” endorsed by Desertec Industrial Initiative (Dii, 2012) strengthen the Europe-MENA ties, aiming at serving the interests of both regional partners. Within the aforementioned setting, the matter of tax compliance behavior heightens its prominence as fiscal obligations represent a main funding source for most partnerships. 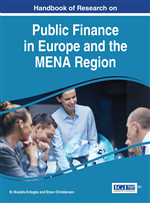 Delving into the primary topic of tax compliance from an economic-psychological perspective, the chapter will avail researchers, practitioners and laypeople to grasp the importance of trust in authorities and power of authorities for raising compliance across Europe and the MENA region. How crucial is taxation for public goods and behavior regulation? What are the differences between traditional and present-day approaches to tax compliance? Which roles do Europe and MENA play within the global economy? What kind of theoretical paradigms and strategies do tax authorities employ for improving income disclosure across these regions? Where do tax compliance levels in Europe and MENA stand considering trust in authorities and power of authorities, the two chief dimensions of the “slippery slope” framework? These are some of the queries addressed by the present investigation. The importance of taxes for modern societies has stirred the interest of laypeople, policy makers and scholars across disciplines, from traditional economics (Allingham & Sandmo, 1972; Yitzhaki, 1974) to vanguardist econophysics (Zaklan, Lima & Westerhoff, 2008; Zaklan, Westerhoff & Stauffer, 2009). For instance, drawing on the work of Schumpeter ( 1954) regarding the question of fiscal sociology, i.e., the assessment of social phenomena underlying taxation and public finance (Campbell, 1993, p. 163), Martin, Mehrotra and Prasad (2009, pp. 3-4) contend that taxation reports are “pervasive, dynamic, and central to modernity.” Namely, the academics provide a threefold rationale: taxation engages individuals in reciprocal relationships on which societies are built; it fosters a dynamic but frail interaction between authorities and taxpayers, in which both parties’ interests may clash virtually any time; it secures fungible resources within a society.